Here it is to start off my first "serious" post (again) I'll try my hand at reviewing Good Smile's Shiki. I'm a big fan of kimonos, I tend to find them really suggestive, although that's a story for another time. 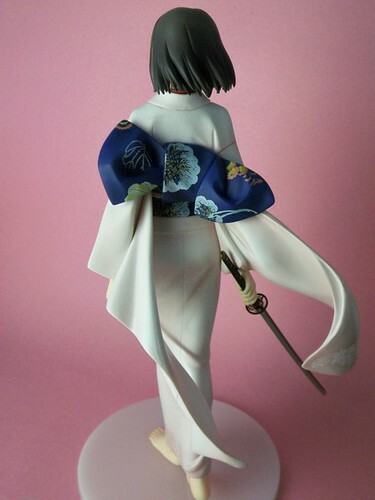 Shiki is special you see as she marks my first serious jump into non figma PVC figures. 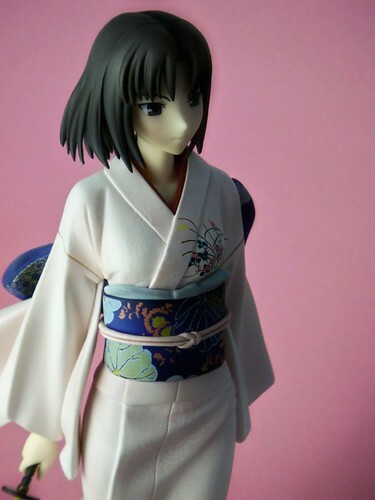 When I first saw Shiki it was one of those moments where I new I had to have her. Thankfully Shiki being a Good Smile release meant I had nothing to worry about in terms of quality in all aspects. After all I been hearing only good things about Good Smile company since I started actively participating in the dannychoo.com community. 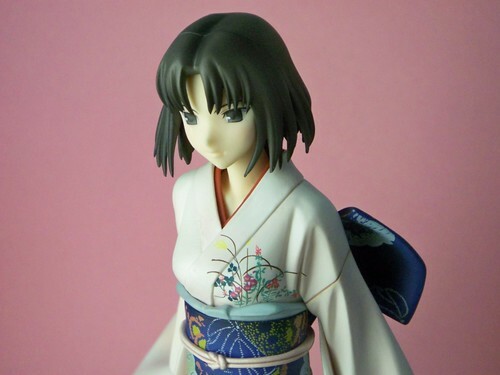 When I bought Shiki along with other figmas I had little knowledge about who she was other than her name. I recalled downloading Menclaves release of the first Kyara no Kyoukai movie many moons ago. Since they apparently dropped subbing the rest of the movies I never bothered to check them out again. After she arrived I rectified that and I downloaded all the available releases of Kara no Koukai from animesuki this time subbed by gg. Since then I watched the first four films, I mus say, I knew I was going to like Shiki. 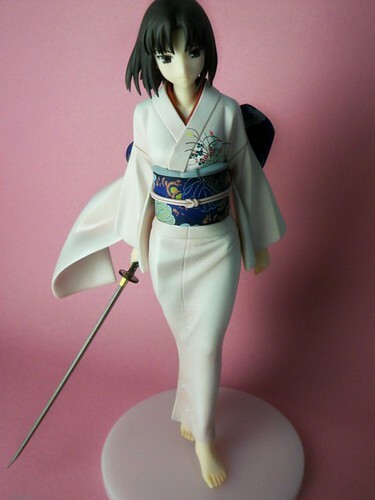 I was relieved my impressions of Shiki from this figure turned out to be similar to how her personality is that first movie. My impression of Shiki was that of a cold but elegant woman. Now onto the figure itself, quite simply I understand why people have such a good opinion of Good Smile company. The paint work is excellent, no blotches or any other imperfection as far as I can tell. 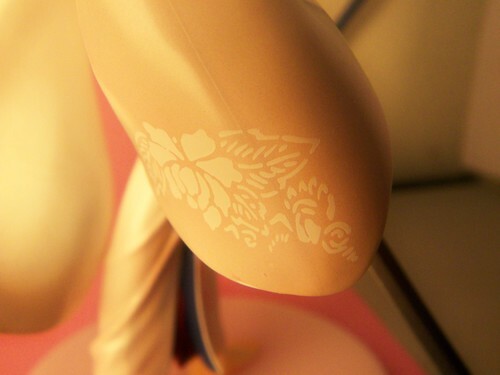 As you can see Shiki came with a simple circular base that is attached to her left foot. I'm quite pleased the base doesn't take up much room. 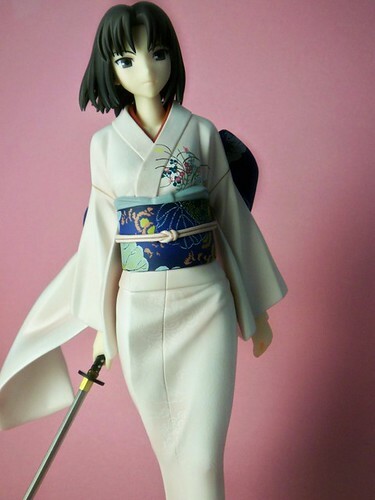 The only accessory that came with her was her katana. The hilt looks good and the guard contains a simple design. 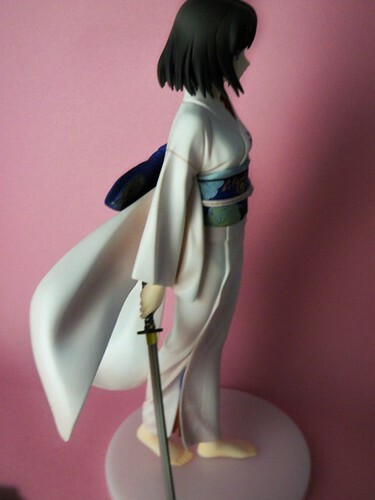 The blade looks the part and there is no trouble either putting or taking off the sword from Shiki's hand. 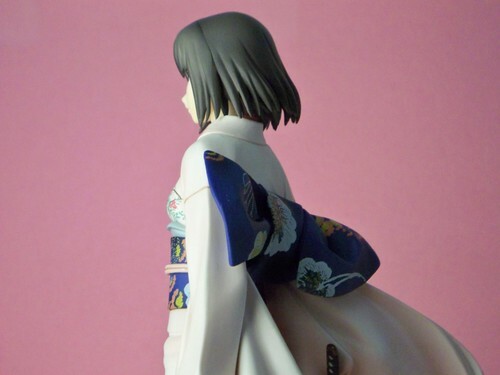 I just love the design of her kimono and how it flows with the wind. I was extremely impressed with the patterns. The face is excellent no complains from me as far as the accuracy compared to the movies or novels. I forgot to mention, the Kara no Kyoukai movies are an adaptation of a series of novels by Kinoko Nasu. The illustrations are provided by Takashi Takeuchi and published by Type-MOON. 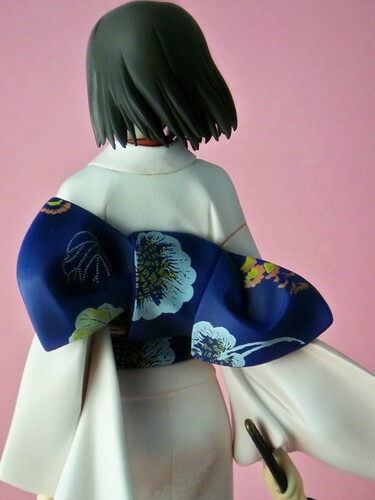 Like I said, the details, the patterns in the kimono and obi, are all beautiful. 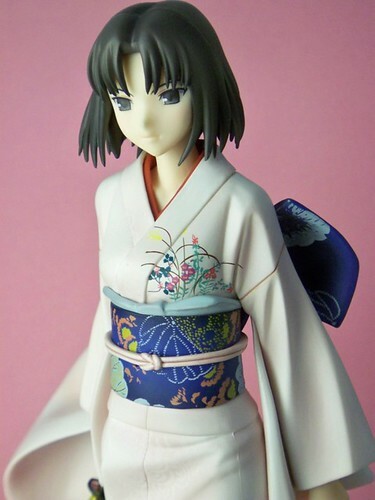 Ryougi Shiki from Kara no Kyoukai was released by Good Smile company in late November of 2008. I acquired Shiki when she was rereleased during January for 5881 yen from Hobby Search. All the pictures here where taken using my Dual Lens Kodack V705. 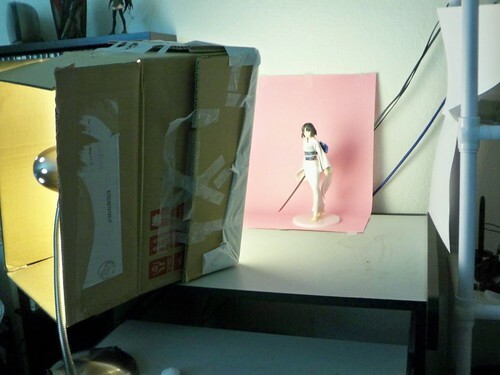 The setup you see here was all done according to this excellent and useful tutorial.